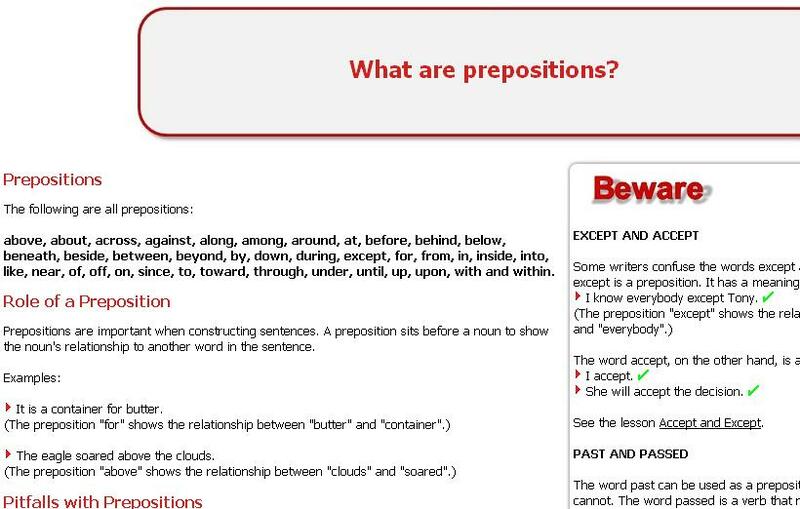 This is an explanation of prepositions, including a list of the most common ones. There are many examples and good tips. There's a short self-test, too!